Be sure to check out these cafes that are sure to satisfy you and your little ones. 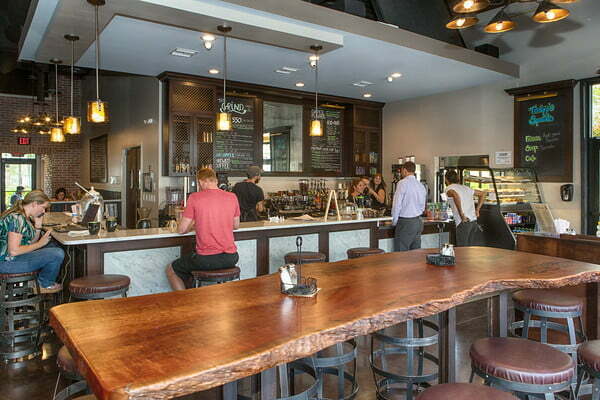 With a robust coffee history dating back to Ybor City in the 1800s, Tampa is a great place to grab a cup of coffee. Local roasters and trendy shops -- featuring everything from pour-overs to nitrogen-infused brews -- have been popping up all over the city, especially in the last few years. While none turn away families, some have a more kid-friendly feel than others. Places that are library-quiet and full of people working on laptops don’t always scream “Bring the kids on in!” But there are plenty of shops that do! 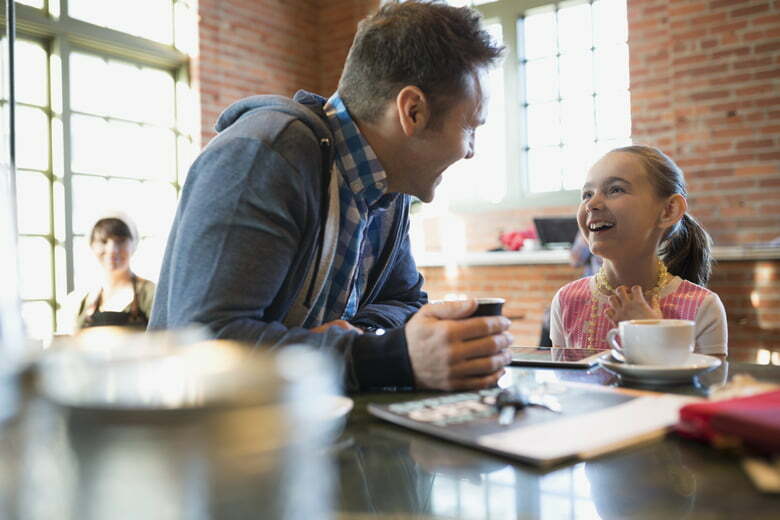 Whether you prioritize great coffee, tasty food, beautiful spaces, or outdoor dining, this list is bound to have a coffee shop that will speak to you -- whether parent or caregiver -- and your caffeine cravings. Hours: Monday - Thursday, 6:30 a.m. - 6:30 p.m. | Friday, 6:30 a.m. - 9 p.m. | Saturday, 7:30 a.m. - 9 p.m. | Sunday, 7:30 a.m. - 3:30 p.m. 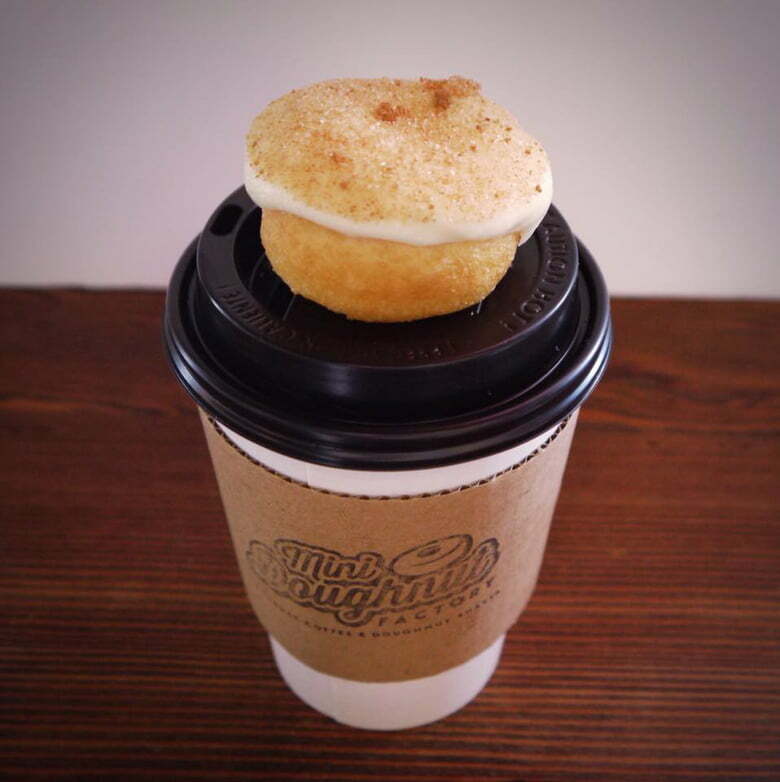 While it’s not just a coffee shop, South Tampa’s Mini Doughnut Factory has become known for its fresh-ground, custom-blend coffee offerings. 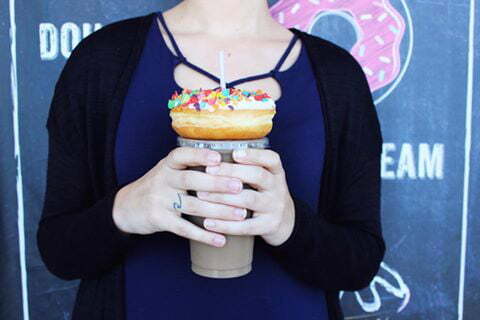 This colorful shop features your standard coffee options -- lattes, frappes, and cold brew -- as well as tea from Tampa’s TeBella, hot chocolate, and smoothies, not to mention milkshakes with their doughnuts blended in! Your kids will love their bright, whimsical, tiny doughnuts, which are made right before your eyes. If you’re planning to visit on a weekend morning, be prepared to possibly wait in a long line. Rumor has it that their new location (opening later this year) in St. Petersburg will have on-site coffee roasting, too. Hours: Monday - Friday, 6:30 a.m. - 5 p.m. | Saturday & Sunday, 7 a.m. - 3 p.m. This Ybor City institution has been operating for more than 100 years. Bakers work around the clock to create La Segunda’s famous Cuban bread, and this shop still has so much more to offer. 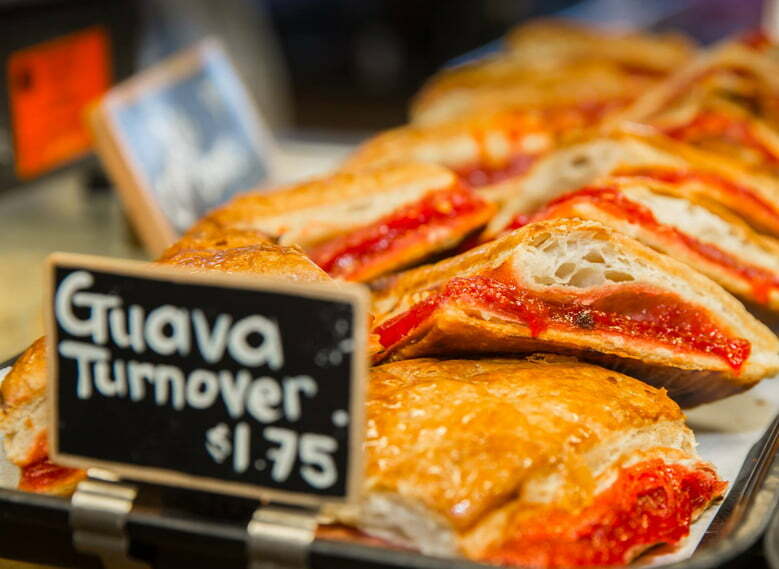 The display cases offer a rainbow of tasty treats, like guava turnovers, lady fingers, flan, cannolis and more -- all guaranteed to please the little ones. La Segunda has your standard coffee options, but if you’re there, you have to get the café con leche. The classic Cuban coffee is perfect here. There isn’t any seating inside the bakery, but customers can take their coffee to the tables outside or head to one of the many parks in Ybor City to relax. Hours: Monday - Thursday, 7 a.m. - 10 p.m. | Friday & Saturday, 8 a.m. - 11 p.m. | Sunday, 8 a.m. - 8 p.m.
Dough is a perfect little bakery, creamery, and coffee shop for any day of the week. With painted clouds on the ceiling and candy stripes on the wall, your kids will love the look (and the candy and baked goods), and you will love their selection of local coffee. Featured coffees include their nitrogen-infused cold brew from Ginger Beard Coffee and their decadent lattes with flavors like Nutella and bacon. (Yes, bacon.) You can also get cold brew growler fills and housemade doughnuts. If you’re in the mood for a great Sunday brunch, try Dough’s sister restaurant, Datz, which is located right next door. 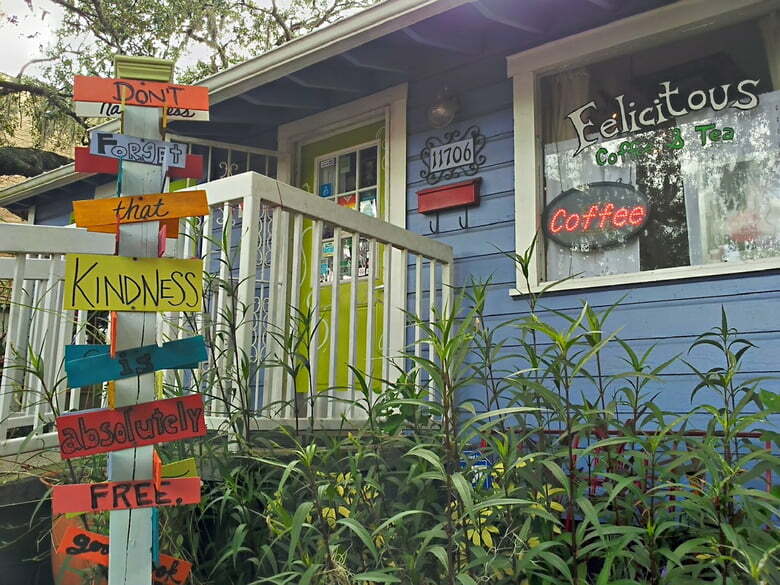 Hours: Monday - Thursday, 9 a.m. - 10 p.m. | Friday & Saturday, 9 a.m. - 11 p.m. | Sunday, noon - 10 p.m.
Felicitous is a north Tampa coffee shop with all the comforts of home. Snuggle up with a blanket on the couch, or dine al fresco on their dog-friendly patio. In the owner’s quest to create a hang out spot for people to get away from home and work, she has created a unique and friendly vibe for people to connect, and for you to hang with your family. Your kids will love the stacks of board games, you will love the coffee and tea selection. If you’re feeling decadent, get the Mississippi Mud -- a delicious hot chocolate concoction with chocolate, espresso, marshmallows, whipped cream, and a chocolate drizzle. Food options include a great selection of vegan and gluten-free baked goods. Hours: Monday - Friday, 6 a.m. - 4 p.m. | Saturday & Sunday, 7 a.m. - 4 p.m. The baristas at The Grind take their espresso seriously, so you know you’ll be getting a great cup of coffee from this Westchase hangout. This place has a bit of a hipster vibe, but it’s definitely kid-friendly. They offer a nice kids menu, including fun-shaped pancakes for holidays that the little ones are sure to love. I’m also a big fan of their beautiful outdoor space and the always-changing weekend specials. One weekend, you might find a Mexican-themed menu inspired by an employee’s family recipes; the next, you’re ordering bacon chocolate chip pancakes and a deconstructed monte cristo.